Pretty, tasty and healthy…I.V. Juice Bar is now open in Rancho Cucamonga! Soft opening until 6 tonight, with a grand opening 10 a.m to 2 tomorrow. Buy-one-get-one-half-price this Sunday. Regular hours are 7 a.m to 7 p.m. weekdays and 8 a.m to 4 p.m Saturdays. A new juice bar has opened in Rancho Cucamonga. I.V. Juice Bar opened this week at 8057 Vineyard Ave., Unit L1. If the names Sir Isaac Lime, Little Orphan Orange and Alexander the Grape mean anything to you, then you need to head to Grand Terrace on Saturday (July 29). That’s because the Otter Pops Vibes Tour will be making its first Inland Empire stop from 11 a.m. to 6 p.m. at the Stater Bros. at 22201 Barton Road. We just couldn’t wait. Celebrate #NationalLasagnaDay early with 50% off lasagna at Brio on Thursday, July 27th. While supplies last. Dine-in only. Brio Tuscan Grille is getting a jump on National Lasagna Day, which is Saturday (July 29), by offering half off its lasagna entreés a couple of days early. All day Thursday (July 27), the chain will be taking 50% off its lasagna dishes. …and then there was one. The San Bernardino Taco Tia has closed. In its place will be a Flame Broiler. The last remaining San Bernardino Taco Tia, at 2535 Del Rosa Ave., closed earlier this year. A banner has gone up at the former location indicating that The Flame Broiler will be taking its place. Ever wanted to have an exclusive wine dinner in a vineyard? Did you think you’d have to travel to Paso Robles or Napa Valley for the privilege? 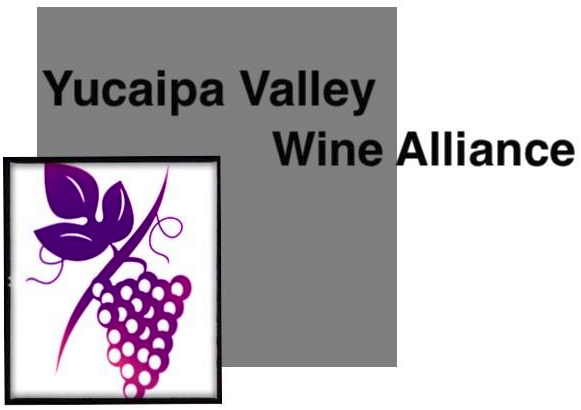 Reservations are available now for a “Dinner in the Vineyard,” hosted by the Yucaipa Valley Wine Alliance. Good news for seafood lovers! California Fish Grill opens its second Inland Empire location (following Upland) today (July 18) in the Mountain Grove shopping center in Redlands. 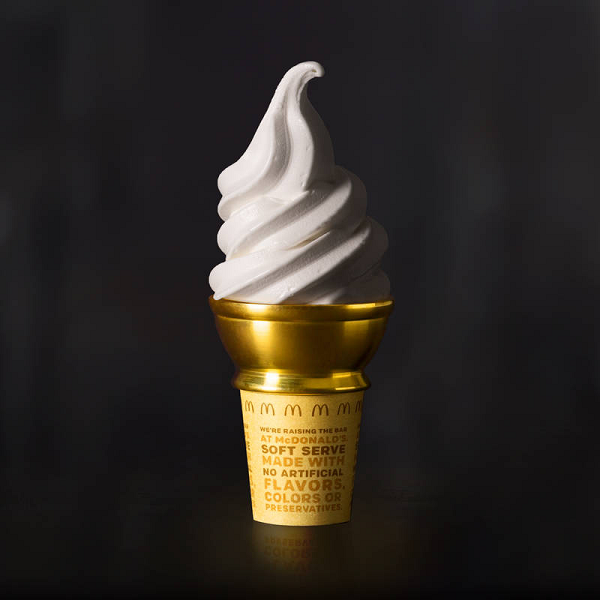 Today (July 16) is National Ice Cream Day, and in the spirit of the holiday, McDonald’s is giving away free vanilla cones via its mobile app. 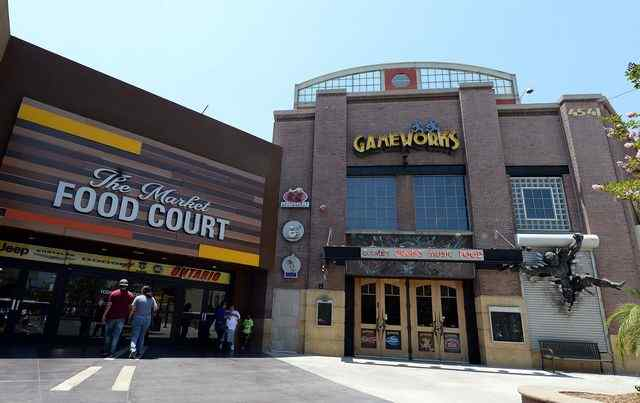 GameWorks Ontario Mills has closed. Twitter user @rialtus alerted us to the fact late Saturday night. So many deals today (July 11), and yet there’s another one to add to the pile: Cow Appreciation Day. 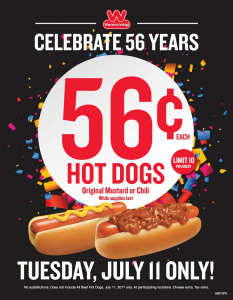 Inflation has struck Wienerschnitzel’s anniversary hot dog deal. However, it’s just a penny in a year’s time. To celebrate its 56th anniversary today (July 11), the world’s largest hot dog chain is offering either an original mustard dog or chili dog for just 56¢. That’s right, it’s just a penny more than last year’s 55¢ deal for its 55th anniversary.